As recently as a couple of years ago I was reading of a tragic murder with ties to my hometown. The murderer was described as a “loner” with problems, “who kept a journal.” The implication was that all persons who keep journals are immediately outside the realm of normal society and probably harboring all sorts of anti-social plots and extremist behavior. Definitely people to mistrust. There is a pervasive scorn for people who keep a journal, as if that automatically describes you as a secretive loner, self-absorbed and narcissistic, and—dare I say?—evil. All the world distrusts the loner, the sheep which stands away from the flock, the individual who is not afraid to think for themselves, anyone who dresses or behaves in a manner that does not conform. Certainly today’s diarist is being somewhat secretive. Since virtually everything put on a computer is public information, the only privacy we have left is in our handwritten diaries. Think about that. Before the age of the personal computer, keeping diaries and writing letters was, if not commonplace, at least not suspect. Up until the 1800s the only way to communicate, record and preserve information, or capture an image of what life was like, was to write it down or paint it. (Photography evolved during the 1800s.) The diaries I am reading from that era are short and simple records of the tapestry of daily life: “baked three pies, did washing, Herbert went into town, Mrs. Jones died,” and so on. Many entries are only a sentence long. Life was busy with work and I suspect there was little time for the “frivolity” of keeping a diary, especially in lower class homes. The late 1800s witnessed the birth of contemporary psychology, and with it the gradual acceptance of emotions, (even the dark side of our nature), and a feeling of freedom to express them. It would be interesting to research the change in the content of diaries from about 1900 to the 1960s. Alongside the turmoil of the sixties and the “free love” and experimental happenings in this country, I believe the substance of journal writing changed drastically. We were free not just to record what happened but how we felt about it. I consider the late sixties and the seventies as the golden age of the journal. The journals of Anais Nin were published and transformed the diary into an art form and a tool in self analysis. 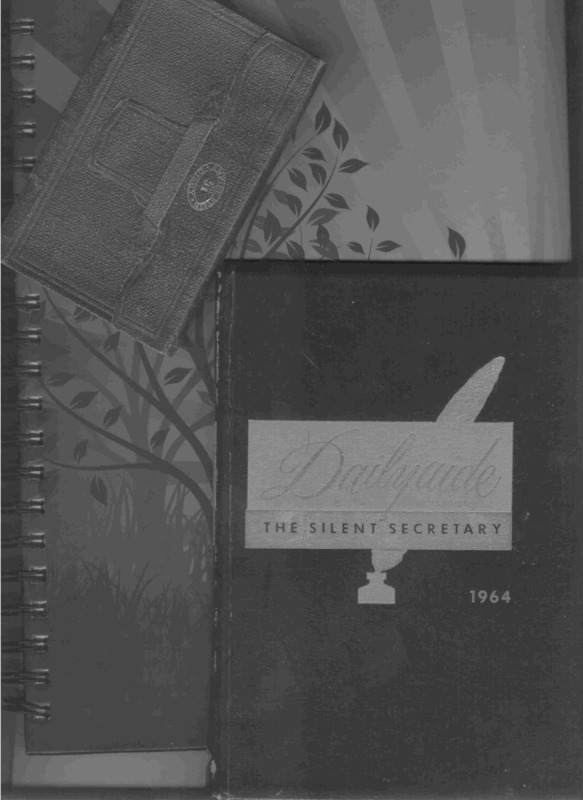 They established the legitimacy of the diary as a genre of literature. Tristine Rainer (who worked with Anais Nin) published The New Diary: How to use a journal for self guidance and expanded creativity. Christina Baldwin published One to One: Self-Understanding Through Journal Writing. The diary became an accepted, even encouraged, medium for deepening the experience of everyday life. So, what has happened to the diarist since the advent of the personal computer and why are we once again scorned? I see a movement toward “all things public” — we blog, we text, and it is all out there. I think this is a step toward superficial and shallow thinking. Undoubtedly there will be less self-examination or revelation of truth, both personal and otherwise. What can you say when you know the boss could read it? Despite the risk of being judged an anti-social personality, if you want to be free to express your innermost thoughts, to report life as you see it, I think it is best kept between the covers…of a journal. Note: Tristine Rainer and Christina Baldwin, two founding mothers of the golden age of the diary, are still actively involved in helping people tell their stories, write their memoirs, and deepen their lives with journal writing. For more information visit: Tristine Rainer’s – Center for Autobiographic Studies and Christina Baldwin’s – Storycatcher. You are currently browsing the archives for the changing perceptions of people who keep journals category.